For some children, executive functioning, or executive ability, does not come easily, and for parents who don't know how to deal with the problem, we have Late, Lost and Unprepared by Joyce Cooper-Kahn [649.152 COO] and Smart But Scattered: The Revolutionary "Executive Skills" Approach to Helping Kids Reach Their Potential by Peg Dawson [649.1526 DAW]. A Little More Than Five Months Left! And then it's the new season of Downton Abbey! Yay! The excitement is already starting to build...BuzzFeed has "exclusive" photos here. Until then, there's the first three seasons to rewatch [DVD DOW]. 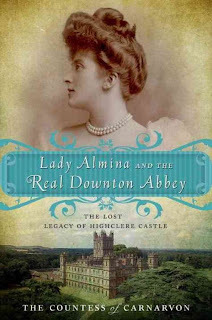 Or, read about the real people who lived through the early part of the 20th century in the palatial Highclere Castle, setting for Downton Abbey: Lady Almina and the Real Downton Abbey [The Lost Legacy of Highclere Castle] by Fiona Carnarvon [AB/CD B CAR]. Despite what people might say, books will be around for a long time yet. And, if you have a collection of books, you're eventually going to need a bookcase. You can borrow one of our books like Build Your Own Contemporary Furniture: 22 Great Projects for Every Room in Your Home [684.1 BUI] or Ridiculously Simple Furniture Projects: Great Looking Furniture Anyone Can Build by Spike Carlsen [684.1 CAR]. 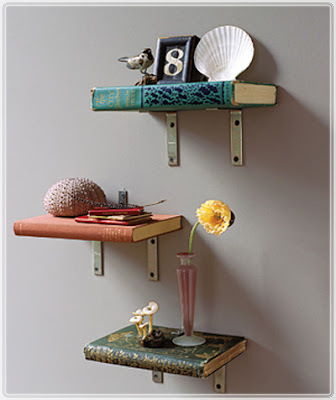 Bookshelves can be simple or elaborate, it's up to you. I suggest you go to Pinterest and type in "DIY bookshelves." You're sure to find something to fit your needs and abilities, and a few shelving projects to make you green with envy! I came across a slim paperback volume of poems by Michael Hettich titled, Flock and Shadow: New and Selected Poems [811.6 HET]. I know nothing about Hettich, so I'll have to spend a little time later looking at his website. In flipping through Flock and Shadow, I found some of the poems to be strange to say the least. That's not to say that I didn't like what I read, it's just that reading them was a challenge since I'm a rather literal person. However, the picture this poem paints is amazing! of a blossoming fruit tree, two boys play catch. and away across the endless fields. Head over to Semicolon where Sherry is hosting this week's Poetry Friday Round-Up. On this day in 1909, the first airplane flight across the English Channel took place. Louis Bleriot took off from France at Les Baraques (near Calais) and thirty-seven minutes later he landed near Dover, England. It was the first international flight! To a person of the 21 century, the feat doesn't seem all that impressive, but for the time it was an amazing achievement. Surprisingly, we have two different items in our collection that celebrate Bleriot's flight: The Glorious Flight: Across the Channel with Louis Bleriot, July 25, 1909 by Alice Provensen [J 629.13 PRO], an illustrated book for children, and, A Daring Flight, an hour-long documentary film [DVD 629.13 DAR]. Camping is one of the looked-forward-to activities of summer. Even if your camping trip is just a sleeping bag in your backyard, there's something exciting about sleeping outdoors. Our general camping titles are found in 796.54 or in J 796.54. We have all sorts of other books on RV camping, campsite guides, canoe camping, and, we recently added a camping cookbook to our collection The Scout's Outdoor Cookbook by Christine and Tim Conners [641.578 CON]. One of my all-time favorite movies involves a game of chess. The Seventh Seal [DVD SEV] from 1957, directed by Ingmar Bergman, has Death playing a game of chess with a knight returning home from the Crusades. A fabulously thought-provoking black and white film! Last week, I wrote about card tricks. Since it is summer, learning new tricks is something that appeals to kids. Once a few tricks have been mastered, then kids can put on a show for friends and family. Often, an master of ceremonies is needed, and what better way to warm up a crowd than with a good joke! If your kids need to add a few new jokes to their repertoire, we're here to help. We've got knock-knock jokes, animal jokes, monster jokes, and enough just plain silly jokes to keep them, and you, laughing for days. There's nothing wrong with laughing! As the old expression goes, "laughter is the best medicine." 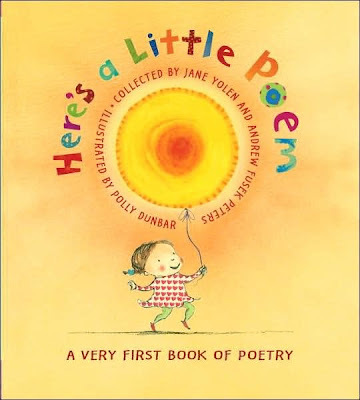 Instead of the usual nursery rhymes for wee ones, why not pick up our copy of Here's a Little Poem: A Very First Book of Poetry collected by Jane Yolen and Andre Fusek Peters [J 811 HER]. It is a gently rollicking poetry romp, which is illustrated equally as merrily, by Polly Dunbar. I've selected a poem from Here's a Little Poem to celebrate all the lovely summer berries we have to look forward to! Jone, at Check It Out, is the host of this week's Poetry Friday Round-Up. It is with sadness that I relay the news of the passing of children's book illustrator, Marc Simont. Simont was 97 and had started illustrating children's books back the in the 1930s. Multiple generations of children have seen Simont's light-hearted and deceptively simple illustrations, including the ones in A Tree Is Nice by Janice Udry [JP UDR], for which he won a Caldecott Medal in 1957. We have many of Simont's illustrated books in our collection--too many, in fact, to list them all here! 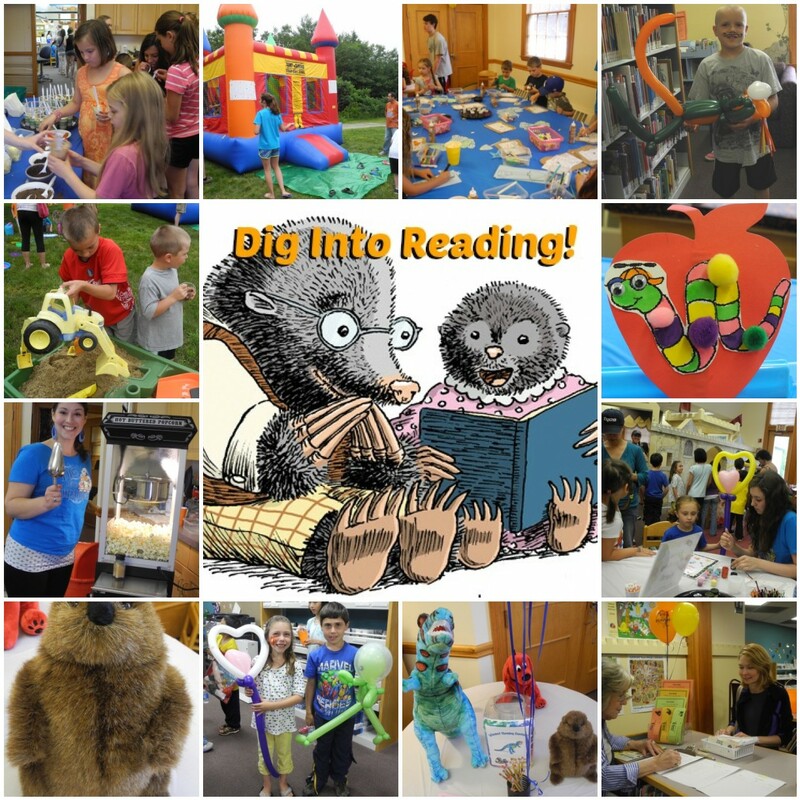 A few titles are: The Happy Day by Ruth Krauss [JP KRA], the "Nate the Great" series by Marjorie Weinman Sharmat [J MYS SHA], No More Monsters For Me by Peggy Parish [E PAR], The Philharmonic Gets Dressed by Karla Kuskin [JP KUS], The Star in the Pail by David McCord [J 811 MCC], and The Stray Dog by Marc Simont [JP SIM]. 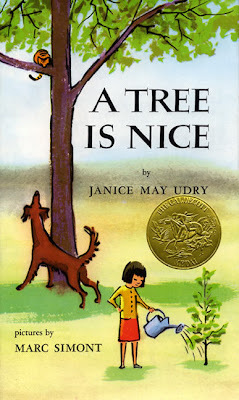 Make sure to read Simont's New York Times obituary, to learn the connection between Simont and another Caldecott-winning illustrator, Robert McCloskey. Here's a hint: it has to do with ducks. I'm one who is easily wowed by slight of hand and the skill involved in producing it, but, if you're one who needs to understand how everything works, you can visit YouTube and search using the term "card trick." 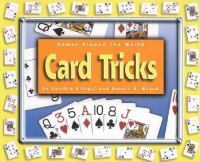 You'll find hundreds of short videos of card tricks and of the secrets behind the tricks. The Card Trick Teacher, an online site, has a "Card Trick Video of the Day." 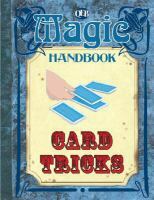 Some people, however, prefer to read and therefore I'd like to suggest that they come to the Library where we have card trick books galore, including the ones below, written for children, which all have the rather uninspiring title of Card Tricks! On 4th of July weekend there was an interesting article on the PBS Food page about "Official State Foods." I was curious about New Hampshire's official food and found out that the article had none listed for NH. Say what? But as I got to thinking, absolutely nothing sprang to mind as screaming "New Hampshire's Famous." I looked around online and found that our state fruit is the pumpkin, but I don't exactly think NEW HAMPSHIRE pumpkin pie, do you? Or how about our state beverage--apple cider? 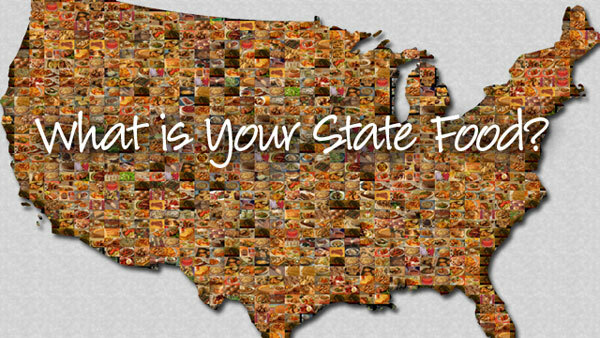 What would you nominate for New Hampshire's "official state food"? We also have a book that covers NH cooking exclusively, New Hampshire: From Farm to Kitchen by Helen Brody [641.59742 BRO]. 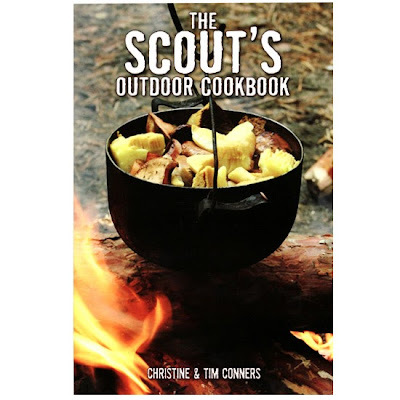 It includes several recipes, such as "Cider Cake," which use our official beverage, but, it doesn't have any at all using our official fruit! 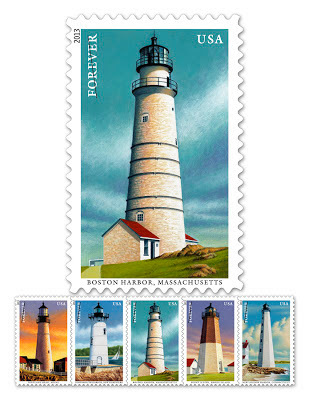 On Saturday the United State Postal Service released a series of "Forever" stamps celebrating five New England lighthouses. One of the five is the light at Portsmouth Harbor in New Castle, New Hampshire. Lighthouses have an air of mystery around them--how does a lighthouse keeper survive the isolation? How bad can the weather get? They are often at the center of novels including one of this year's "hot" book discussion titles, The Light between Oceans by M. L. Stedman [F STE, also AB/CD STE]. Another discussable title is Homer H. Hickam's The Keeper's Son [F HIC]. Poetry Friday--"Fishing on the Susquehanna in July"
Fishing is the perfect activity for a lazy summer day--especially if you're fishing in a secluded area with only your thoughts to accompany you! The poem for today is by Billy Collins, and poor Mr. Collins, has never had the experience of fishing on a river. However, he has found a way to make a darn good poem about the whole non-experience! 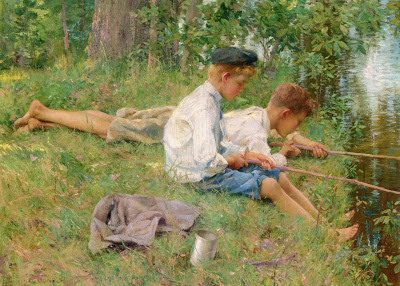 If today's post has inspired you to give fishing a try, look for The Art of Freshwater Fishing [799.11 ART] on your next visit to the Library! Visit Michelle at Today's Little Ditty for this week's Round-Up. To wrap us this Water Week, today we're going to look at water to drink. I'm sure you're all familiar with the idea that our bodies are primarily water, but did you know all that is contained on this infographic? To keep your body in tip-top shape, you must remember to drink water! Sadly, though, not every place on earth has clean and easily accessible drinking water. We're among the lucky ones! 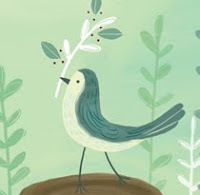 A truly fabulous story by children's writer, Natalie Babbitt is The Search for Delicious [J BAB]. Knowing that this is a post about drinking water, I'm sure you can guess what the Prime Minister discovers! However, a young reader may not guess, and reading the book as a family, may engender some great discussion! If I haven't convinced you to pick up the book, perhaps this "travelogue" created by a 5th grade class, will! It Must Be Water Week! I realize, now, that it must be water week--last Friday was a post on rain, Monday on the NE Aquarium, yesterday's post was on water gardens. 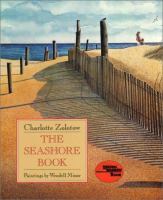 So, to continue, today's post will focus on the seashore! With the hot weather we've been having, everyone seems to be heading to the shore. Kids especially seem to love the ocean water (despite its still frigid temperature) and the sand. Here are a few items to share with them on those days that you can't make it to the beach! Zion, Gene. Harry by the Sea. [JP ZIO] A classic "Harry the Dirty Dog" title! We have scads more, so come down to the library and browse our shelves! With all the rain we had at the end of June, I imagine some of you had soil erosion on your property. Quite by accident I came across a video from The Nature Conservancy on "rain gardens." The purpose of these gardens is to disperse rainwater thus eliminating erosion, and conserving water. More imperative for many of us now, perhaps, is the recognition that our natural environment is shrinking, fueling a desire to save a piece of it and bring it closer to home. You needn't dig up your yard to create a water garden, Quick and Easy Container Water Gardens: Simple-to-Make Water Features and Fountains for Indoor and Outdoor Gardens by Philip Swindells [635.9674 SWI] shows how to use barrels and buckets to make standing water gardens, and, if you want to get a little fancier, he'll show you how to install a fountain! The summer is a very busy time for the New England Aquarium in Boston. 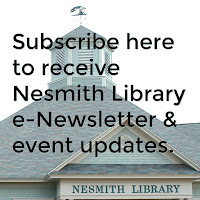 So busy, in fact, they do not honor library passes for July and August. However, even if you pay full price, the visit is a bargain. Just think what it would cost you to go to Florida or the Caribbean where you could see colorful sea creatures in their nature habitat! The Aquarium is the next best thing! The giant ocean tank was recently reopened after it had been closed for improvements. 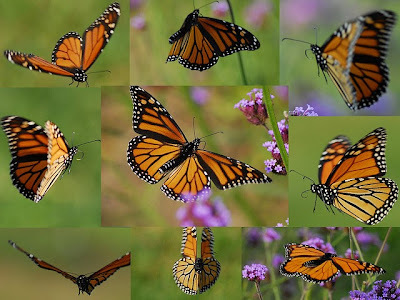 The work took months, but through the wonders of time-lapse photography you can see the process reduced to 75 seconds! After a trip to the aquarium, those who develop an interest in fish, icthyophiles (literally "fish lovers") may enjoy browsing through some of the fish books in our collection such as the National Audubon Society Field Guide to Fishes by Carter R. Gilbert [597 GIL]. 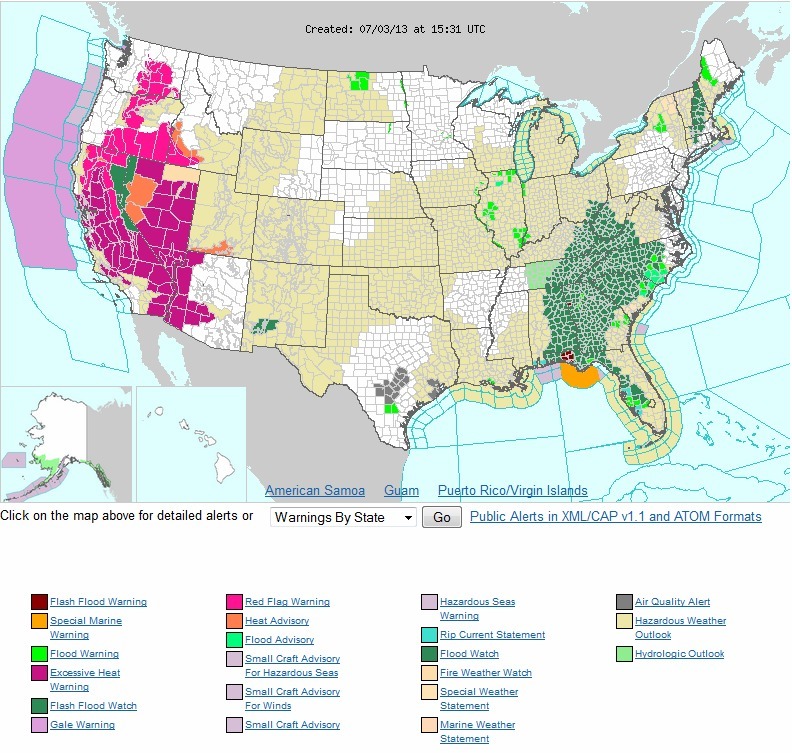 Notice the dark green in the northeast? That's us! These past two weeks we have had rain upon rain. Some days it felt like I was growing mold on my skin in all the humidity! Rather than complain, I thought it would be good to celebrate rain with a few poems! So hard, drops so big you could see each one falling. Or my hat or umbrella. The rain poured down drops so big you could feel each one hit you. But I just stood there getting wetter. I don't know about you, but I'm actually feeling a little sunnier now! This week's Poetry Friday Round-Up is hosted by Keri Recommends. The Library is closed today, but we will be open again tomorrow and on the weekend. In keeping with spirit of the day, here's a little video from 1976 titled "Our Heritage." We are a society obsessed with food. If we're not thinking about our next meal, we're thinking about how to rid our bodies of the effects of the last one. Look each week at the nonfiction bestseller lists and you will always find at least one, and often several food or diet titles in the top ten. This week The 100: Count Only Sugar Calories and Lose Up to 18 Lbs. in 2 Weeks by Jorge Cruise is in the Publishers Weekly #9 spot. 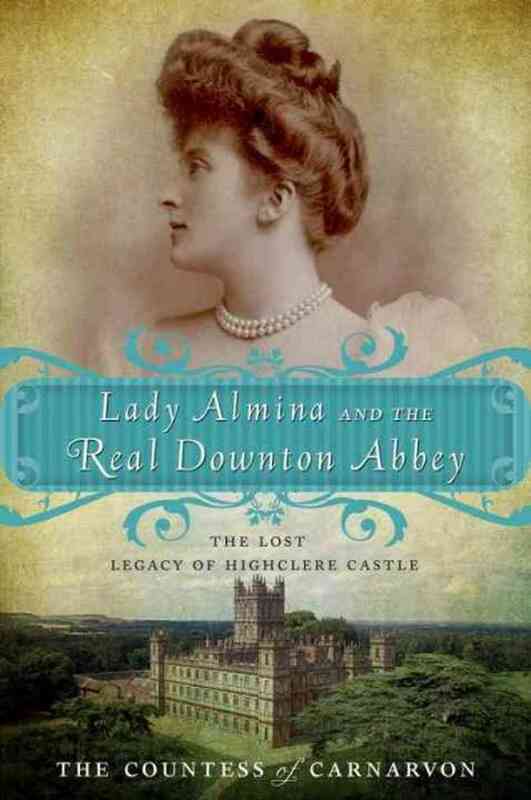 It's available through our catalog as a 3M ebook, and soon on our shelves in hardcover. Speaking of 3M ebooks, if you have the 3M app on your device, there's a whole shelf called "Let's Eat!" that is devoted to titles dealing with food, cooking, and dieting. Our food obsession often spills over into our online activities. Who, for instance, doesn't have a favorite site for recipes? Or a favorite food blog like Gourmandistan? Some bestselling cookbook writers started off as bloggers. 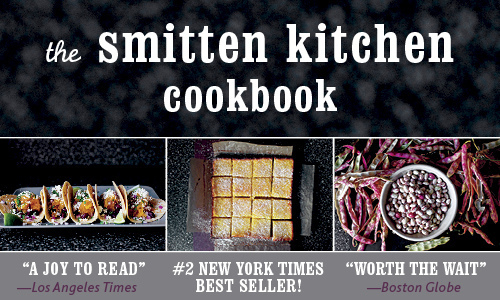 One such person is Deb Perelman, creator of The Smitten Kitchen blog, and, The Smitten Kitchen Cookbook [641.5 PER]. will bring you the latest news and tips from the online world of food. Posts will be sometimes useful, sometimes informative, and always entertaining. Together, we can learn to love technology. And really, wouldn’t you rather get tech tips from a foodie than food recommendations from a techie?! Remember, with food, diet, and exercise, take everything in moderation! Today I want to introduce you to a online site that allows you to manipulate photos and text--a fun way to spend a rainy afternoon! It's called Big Huge Lab, and rather that tell you what it can do, I'm just going to show you some of the results I've achieved. One of my favorites is the motivational poster maker. It's great for use in a classroom, or for hanging on a child's wall. 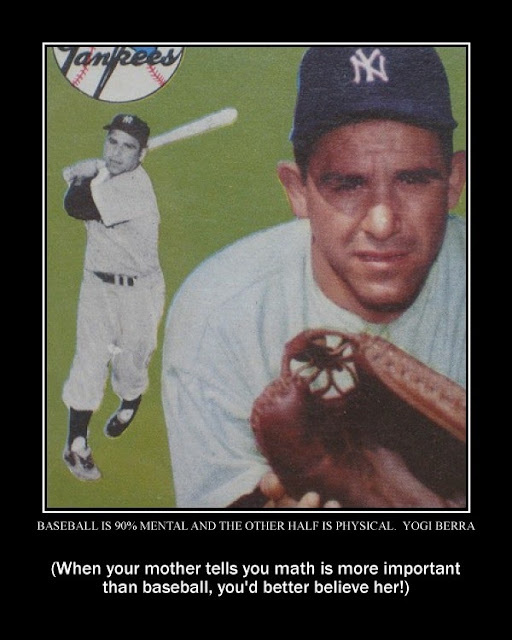 Baseball card courtesy Baseball Collection. 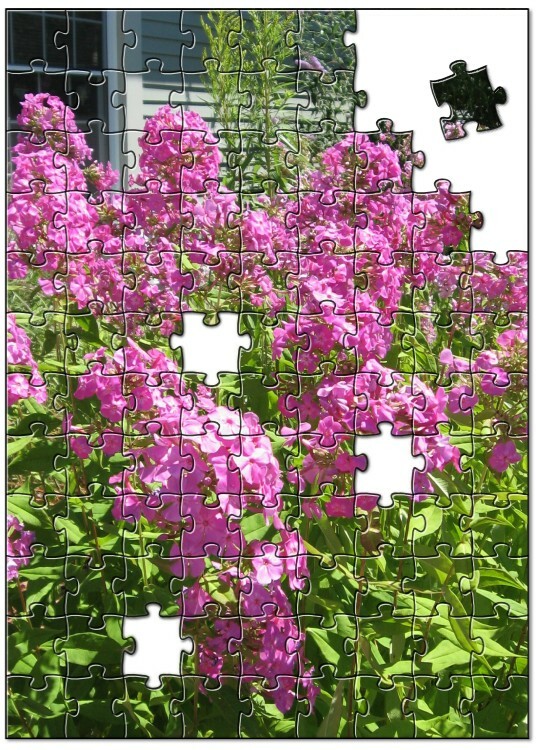 Thinking ahead to the holidays, you can involve the kids and make a jigsaw puzzle from a photo. It would make a fun gift (cost is about $30.). 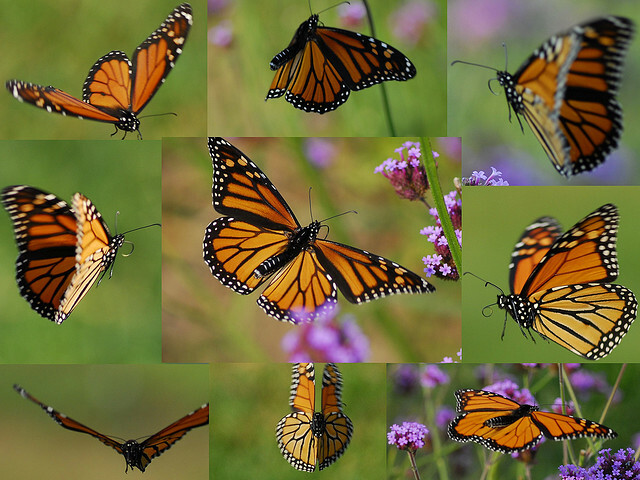 Here's one I made from a photo of our butterfly garden taken last year. This is picture of the puzzle, which does not allow you to play. If we get any more rain, you could make a movie poster of "The Day We Floated Away;" a movie poster is yet one more option! It's July, so, what do you do with the kids? Take the kids outside and pick up leaves, and stones, and feathers and get to work with Gwen Diehn's Kid Style Nature Crafts: 50 Terrific Things To Make With Nature's Materials [J 745.5 DIE]. The most popular summer sport is swimming! Look for Swimming For Fun! by Andy Willett [J 797.2 WIL]. There's nothing like a game--from old favorites like hopscotch to stimulating brain teasers. Look for Great Games! : Ball, Board, Quiz & Word, Indoors & Out, For Many Or Few! by Sam Taggar [J 793 TAG]. How about READING? If you haven't already signed the kids up for our summer reading programs, what are you waiting for?